← Israel Firsters Demand World War against Russia. The United States of America is not only facing an unparalleled constitutional crisis, it is confronted with a covert criminal cabal which has essentially conducted a coup d’état—actually more than one. The first of these coups occurred on September 11, 2001. 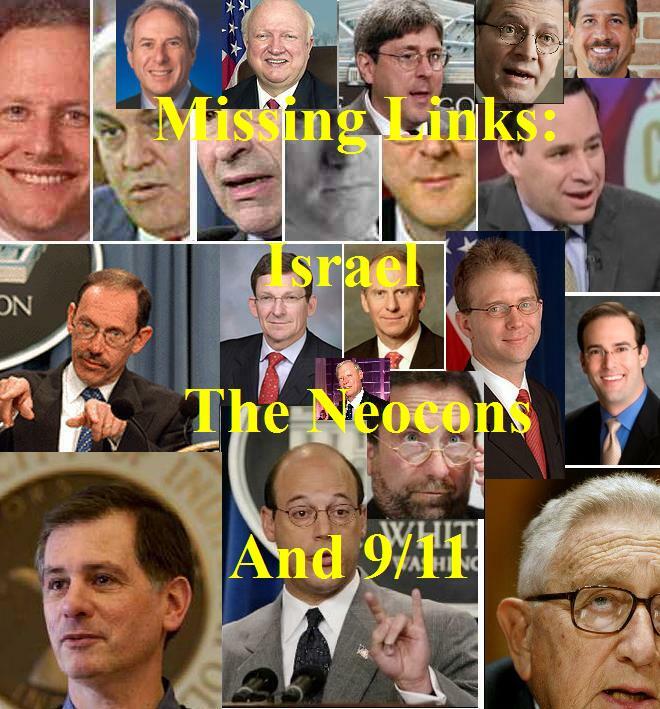 Those U.S. government-coordinated, false flag terrorist attacks served as the basis of a foreign policy coup which was commandeered by a massive and clandestine group of Neocon Zionists. 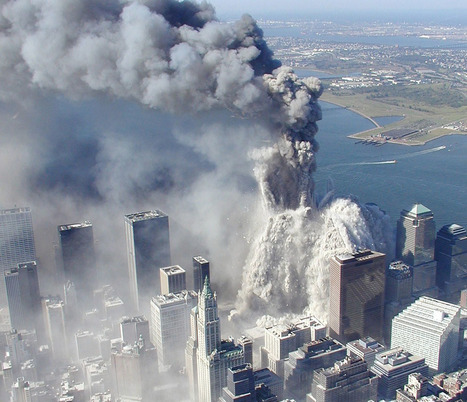 It’s absolutely true, a camarilla of Neocon Zionists — working within the U.S. Federal Government at the time — were directly responsible for the conception, planning, coordination, execution and cover-up of the 9/11 false flag terror attacks on New York City and Washington, D.C. These heinous crimes of high treason, government-sponsored terrorism, mass murder, massive destruction of property, etc. were all conducted with the explicit purpose of deceiving the American people into a fraudulent global War on Terror and must be addressed post haste. The very same criminal clique is now planning a similar event for 2016 as they know that they now are vulnerable to existential threats … from the very people who they harmed. Jeb Bush’s unprecedented thrashing during this 2016 campaign season shows that PNAC* has lost much power and influence, so they’re running very scared right now. They also know that the karmic blowback of the 9/11 crimes against the American people can visit any one of them at any time. 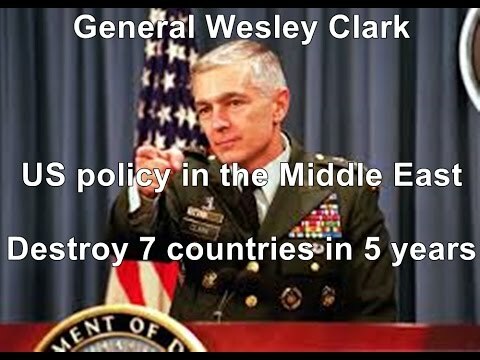 Perhaps the greatest whistleblower exposé ever to be rendered by a high-ranking military official in U.S. history is the now famous “Foreign Policy Coup” speech given by Four Star General Wesley Clark. His multiple leadership positions within various theaters of war and close relationships with key members of the Neocon Zionist cabal gave him firsthand knowledge of the foreign policy coup which occurred before, during and after 9/11. General Clark has quite clearly articulated the basic elements of this conspiratorial coup, conducted over years of planning and coordination at the highest levels of the U.S. government. He has laid bare both the deliberate strategy and clandestine tactics of this ongoing takeover in various talks on this subject of a “Foreign Policy Coup”. Hence, the most incriminating evidence ever released has been presented to the entire body politic and, therefore, unofficially to Congress. The following video elaborates the critical details of the foreign policy coup that General Clark has publicly described. It contains quite damning insider information which represents actionable evidence that can be used to arrest and try every individual who participated in the approval and oversight of those wars which followed the 9/11 false flag operation. This video presents indisputable proof that high level government officials had prior knowledge of a furtive plot to wage a series of unprovoked wars of aggression which have been subsequently prosecuted by every administration since 9/11/01. 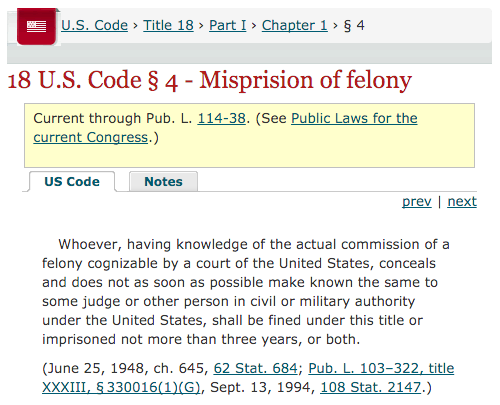 The subtitle of this article mentions “Misprision of Felony” for very good reasons. There are legal grounds for each and every member of Congress to be arrested on such a charge. The above referenced video presented by General Clark has been sent to each Congressman and has yet to elicit a call for a Congressional inquiry. That crucial video was made back in 2007. General Clark had spoken earlier on the matter and established a public record, so this information has been common knowledge throughout the American political class for many years. Because no single government official, except General Clark, has ever formally reported this premeditated series of war crimes and crimes against humanity which have been perpetrated by the U.S. Government, many elected officials now stand guilty of misprision of felony. Of course, the public domain is replete with volumes of information and data which conclusively indicts many of the same guilty parties of closely collaborating in an ongoing cover-up of the 9/11 and subsequent war crimes. The following exposé well explains the extremely important matter now facing the American people. For the electorate to possess what is normally highly classified information that is so criminally radioactive, which they then neglect to act upon, makes them a disinterested participant. Not only were the unlawful and odious wars against defenseless nations paid for with taxpayer’s money, they were conducted in the name of the American people. Therefore, there needs to a very public proclamation of each of those wars BY THE AMERICAN PEOPLE. The preceding headline represents a legal and political necessity if the USA is to retain any degree of governmental integrity and moral stature. A gross failure to respond to this series of war crimes has already devastated America’s international standing. The pervasive moral turpitude that exists within the U.S. Federal Government is now so transparent that the world community of nations is truly repulsed by it naked warmongering, gunboat diplomacy and sheer hypocrisy around human rights. Therefore, it may be that there is only one remedy before the November 2nd election— a peaceful military intervention as an interim step toward the re-establishment the original constitutional republic. Those patriotic flag officers within the ranks of the U.S. military are compelled to act sooner than later. The very same Neocon criminal cabal is now preparing to instigate a hot phase of World War III in order to escape prosecution for their unprecedented capital crime spree committed over decades of influence. Many geopolitical analysts and political commentators have also pointed to the great likelihood that the same group of criminally insane psychopaths will implement the planned demolition of the U.S. economy. And why wouldn’t they to keep their necks out of a noose?! While the USA has been experiencing a slow-motion economic collapse since 9/11, there is a growing perception that this cabal will crash the markets in order to financially incapacitate the American people. What better way to quickly diminish the fast-growing momentum toward a full-blown Second American Revolution. There is even now much talk — serious talk — of a “Democracy Spring”. Not like there orchestrated CIA-directed Arab Spring; rather, a grassroots-driven, people-powered protest movement that will remove all them from political life forever. It ought to be clear why the flag officers of the U.S. Armed Services must get behind the upcoming revolution. Just like the Arab Spring events that took place in Egypt in 2012, it is of paramount importance that the military play its vital role in deposing the present criminal cabal in the White House and beyond. Such a military intervention is also required to prevent them from carrying out another earth-shattering 9/11-type event. They are quite expert at staging highly distracting false flag terror attacks which divert the public’s attention from their multi-decade crime spree. That these 9/11 co-conspirators continue to exercise power within the U.S. government is both outrageous and completely unacceptable. Hence, those concerned parties, who hold the relevant positions within the U.S. Military, must act lest they be considered criminally complicit is these ongoing crimes against humanity. After all, it is the generals and admirals who command the military war machine that is unceasingly destroying the world. Yes, they, too, may soon face a swift justice that only We the People can deliver, if they fail to cease and desist immediately from their unlawful war-making. It ought to be equally clear that the current Congress must be suspended, just as the Supreme Court must be dissolved. By their unlawful actions and inactions, and through their direct participation in a complex coverup of the 9/11 false flag operation, both bodies are no longer legitimate nor do they serve We the People. 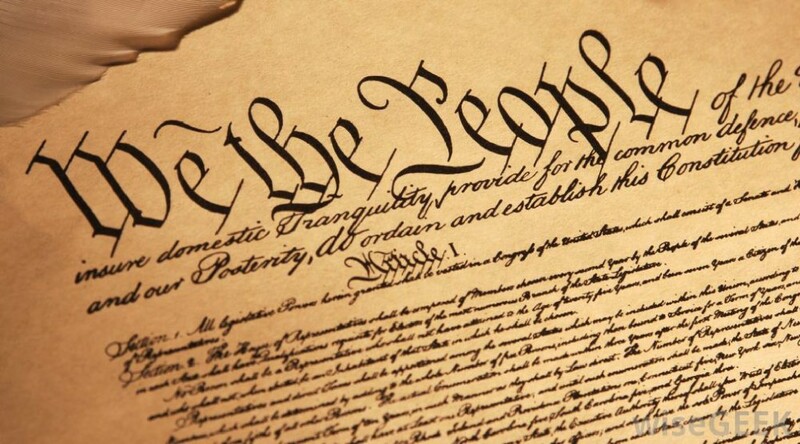 Each has profoundly violated the public trust and broken the social contract that binds a government to its citizenry. Whenever the sacred covenant between We the People and the U.S. Government has been irreparably breached, there is but one course of redress. No government under the sun ever possesses the legitimate authority to arrogate power unto itself to wage aggressive wars of imperialism. The crimes against the American people and foreign peoples alike, which inevitably occur during and after such blatant wars of aggression, cannot be ignored or go unaddressed. We the People must demand a full accounting of the war crimes so that the appropriate compensation can be made and punishments can be meted out to the guilty parties. Only then will some form of meaningful reconciliation begin to take place within this nation and throughout the world-at-large. Simply put, there will never be world peace without such a good faith initiative taken by the American people themselves. They have already, by their failure to act in the best interest of the world community of nations, greatly undermined their previous image as a beacon of hope and good will. Not only are they no longer viewed as peacemakers; rather, they are now known to enable a government of career criminals who are capable of committing every form of ghastly crime. Do the current generations of Americans want to be remembered by their highly destructive apathy and dangerous indifference to the plight of those who have suffered from U.S. military aggression? If this abiding complacency is not replaced before the coming election, surely a fast and furious judgment of sorts may prevail across the land. Here is how such a judgment can be avoided, and “the land of the free and the home of the brave” can be saved from itself. For those who really get it, the preceding two essays delineate the rapidly evolving scenario toward a 2nd American Revolution. It behooves every citizen to fully comprehend the enormity and profundity of the task in front of them. It is equally important for each patriot to embrace their role completely in this noble endeavor to take back our government. Truly, the U.S. Federal Government has morphed into a tyranny and only the American people can overcome it. First, however, a critical mass of good folks must take back their power from those who have stolen it. Only then can the people stand firmly in their own truth and courageously speak that truth to power whenever necessary. That time is now!